A long evening gown is the conventional prom night style, drawing everyone in for its glamorous, red carpet appeal. 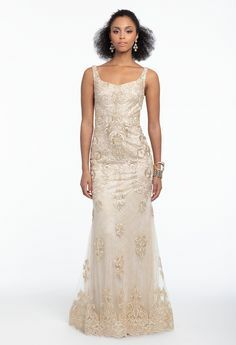 But a high low dress is gorgeous and unexpected; it highlights your waist, is easy to walk in (no tripping over a long hem!) and not to mention, if perfect for showing off your dancing shoes! How to narrow down which look is for you? Play around with your fave colors, style, or even fabric! 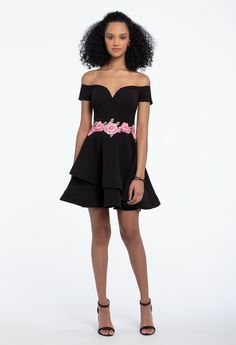 A two piece high low prom dress shows off your midsection, while a strapless or halter style highlights a gorgeous neckline and shoulders (great for pairing with a statement necklace!) Pretty prints add a feminine, flirty vibe; look for both classic and modern florals in our chic collection. Want to feel like a queen? Browse high low prom dresses in a shiny satin or Mikado fabric, or sheer tulle adorned with glitter for a ballerina-style finish. Whether you’re looking for a prom dress that’s elegant, artsy, or something in between, any of our styles could be “the one” for you! So pack your prom clutch and prepare for flawless photos with your besties; the countdown to prom is officially on. Shop the entire collection of high low prom dresses here!